Welcome to FURNITURE REFRESH!! We are so excited to be back after the long summer break and are feeling refreshed and ready to get back into the swing of things. Thank you for joining us all today. 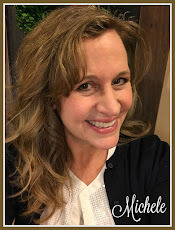 Don't forget to click on the links at the end of this post to see all that my awesome buddies have to share! What's wonderful about this challenge is that it gets me moving on projects that I want to complete, but wouldn't otherwise make the time for. 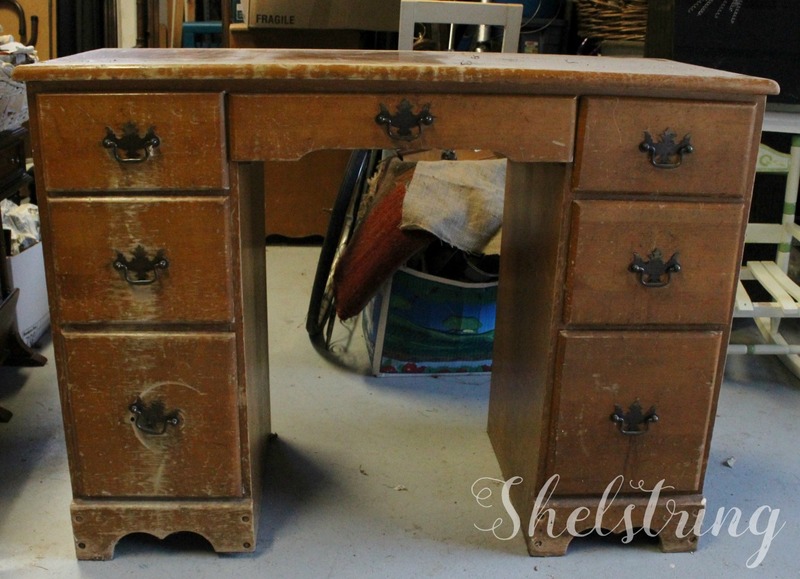 For instance, this desk has been in our garage for the last couple of years. In my efforts to get the garage cleaned out so that we can park in there again, I decided to give this poor, has seen better days, a new life for my girls. The older of the two just turned 8 and has been begging me to get her a desk to read at and do her homework on. I picked this up at the goodwill for around $20. Not a bad price huh?! Everything was in tact, the poor thing just needed a little sanding and freshening up. I'd say that the most time consuming part of re-doing a piece of furniture, is the prep work. Originally I wanted to stain the top, but there was a scratch that I just couldn't sand enough to get completely out, and by the time I had the rest of the top nice and sanded smooth, the discoloring of the wood wasn't very appealing to me. So, we painted it white. Isn't she darling? Yes, I say so. Truly though, this poor wretched thing took 3 coats of chalk paint and then I finally turned to Americana chalk finish acrylic paint for the last coat. Nice. I liked the coverage and wished I'd started out with it! 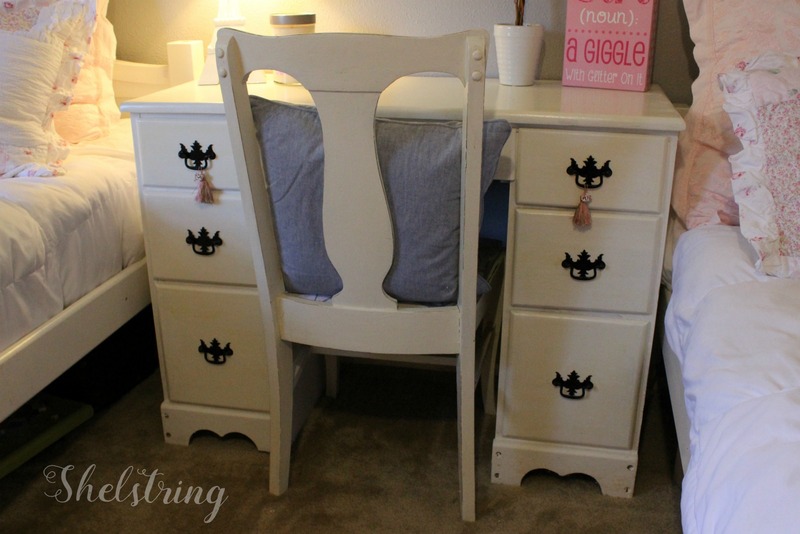 I spray painted the drawer pulls with a black satin spray paint. To be real, I had first painted them white with chalk paint, but then I didn't like how they looked after two coats, so I decided to spray them black to contrast with the white instead. I think that disaster turned out to be in our favor. 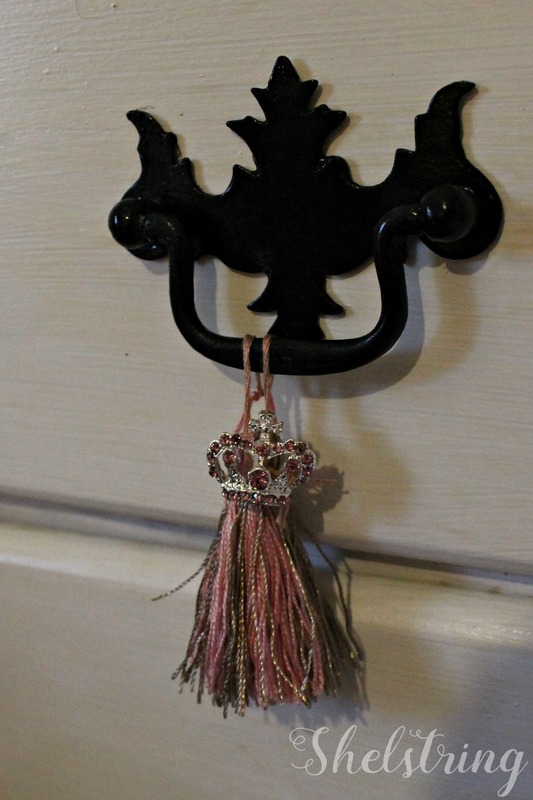 I decided to add tassels with the little pink crown for a special touch of bling. Judging by the girl's reactions, they were the perfect addition. I had to be a little creative with these since there were no pink tassels to be found. These are actually from a trim. I got 4 1/2" of at hobby lobby for 49 cents. I've never been able to get tassels for that inexpensive! I just added a bit of embroidery floss to make the loop for attaching and hot glued the buttons on. I love the way the desk looks now in the girls' room. I rearranged their furniture just before school started and had planned to add the desk as a night stand, so it serves two purposes. The girls are just so excited about the new addition that it makes all the effort worthwhile. Obviously they have a little Paris theme going on in there. 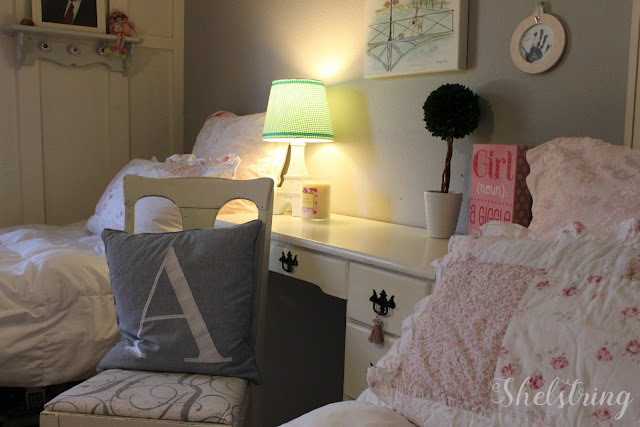 The lampshade is something that coordinates better with the girl's summer bedding. We are gradually moving into the shabby chic look for Winter as it is cozy and cottage feeling. Kind of refreshing for a change to. I fell in love with this line from Target long ago when my 8 year old was a small baby. I just got a wild hair after a rough day not too long ago and decided to finally make the splurge. I'm still experimenting with Euro pillows though. I'm not sure how to make them look right on a twin bed. Earlier this year I added the board and batten you see to the left. It surrounds another window. I'll have to share it sometime soon, I'm really delighted with the way it turned out. 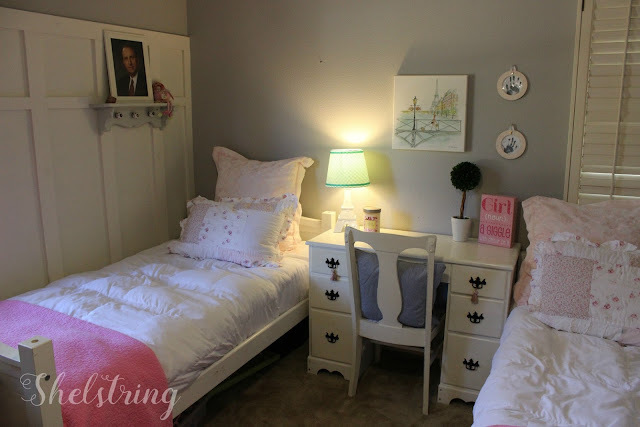 It adds so much character in my girls' sweet little space. They are really not wanting to stack their bunk beds at this time, so we have been having fun rearranging their furniture from time to time. This is the third way we've arranged it in the last 8 months. The beds started out against the board and batten, and though that was the original intent, we like the way this arrangement looks, so we're leaving it like this for awhile. It's especially good with the new addition to the room. Well, that's it for me today. It's so good to share with you again! I'm so happy you dropped by. 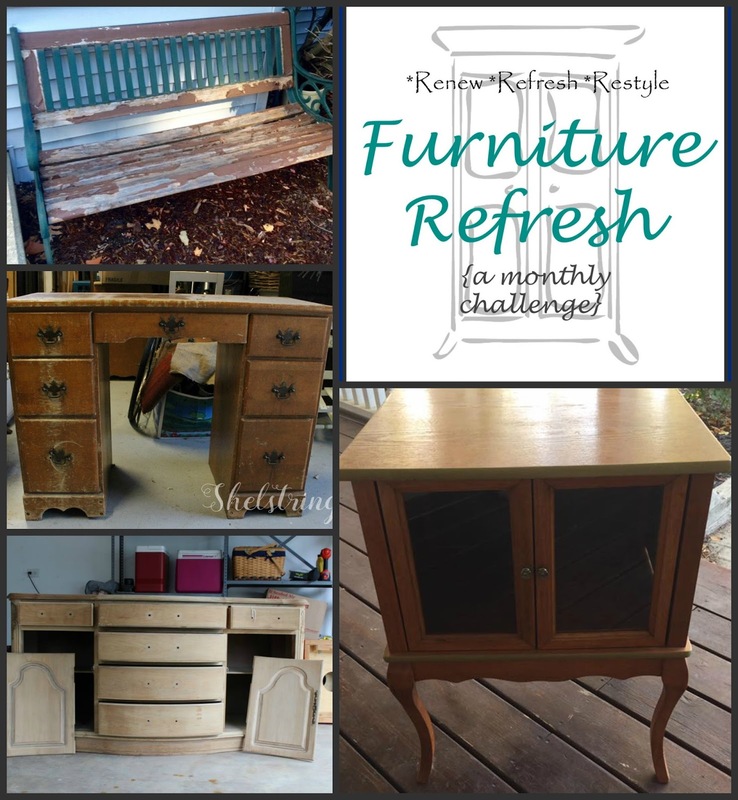 Don't forget to hop on over to my other friends' blogs now and check out their amazing furniture restyles...they truly are worth the time!! The desk came out great Michele! It looks perfect in your daughter's room! Thanks for hosting! Good save, Michele. The desk and the room is charming and delightful. I love Paris so I wish I had a room like theirs. 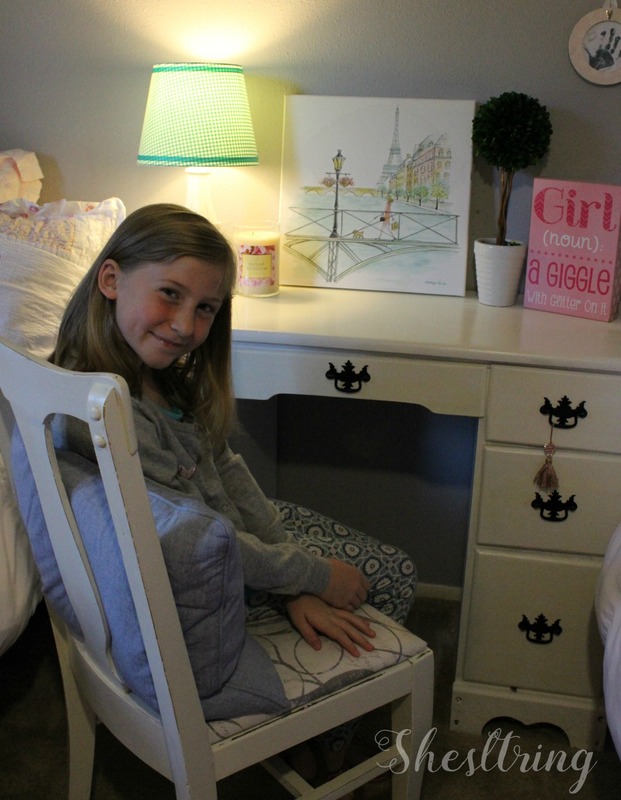 I have good memories of my mother antiquing furniture and rearranging our room and I bet your girls will, too. Wow!!! I love it Michele. And I'm sure your daughter does too. It's so sweet that she helped you with the project. Fantastic job! It's perfect for the room. You can tell your daughter is so pleased with it.